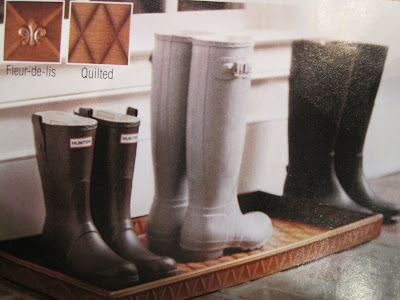 When your wearing your fancy rubber boots you can feel like royality. The Hunter company receieved the royal warrants in 1977, which is a mark of recognition to people or companies who regularly supplied goods or services for at least five years to certain members of the Royal Family. They have always been reqarded as a mark of excellence and quality and are highly prized. Your can feel like a Queen or King (available for men and childre)in your boots. Don't be surprised if you see me in town in mine, Round Top,the fair (horse), barn, you never know what I might put them on with. My niece Laura got hers for Christmas! She loves them and with the really snowy winter they had, they came in handy! I have had mine for about 2 years and I LOVE THEM!!! I have the green and Red ones!!! love, love, love them!! !